Format 3 is an interactive sound experience that consists of interactive graphic scores and touch reactive sculptures. The project explodes the tradition of the graphic score to create a spatial rather than textual experience. The design of sculptures and distribution of graphics derive from the Format 3 alphabet, a system of eighty-one sounding symbols. 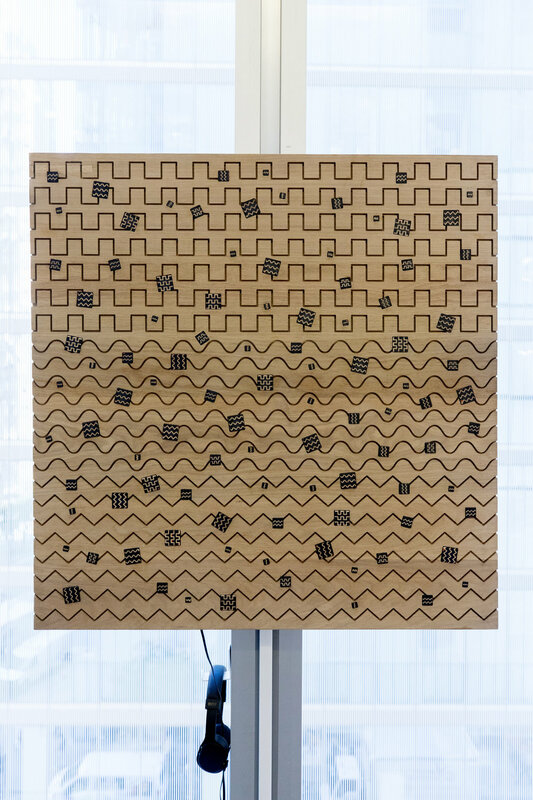 Using the Format 3 application, which functions like an optical synthesizer, visitors can trigger sound, samples, and synthesis connected to each symbol and the sculptures are coated in conductive paint, to produce sounds upon contact.